Dandelions Rock! 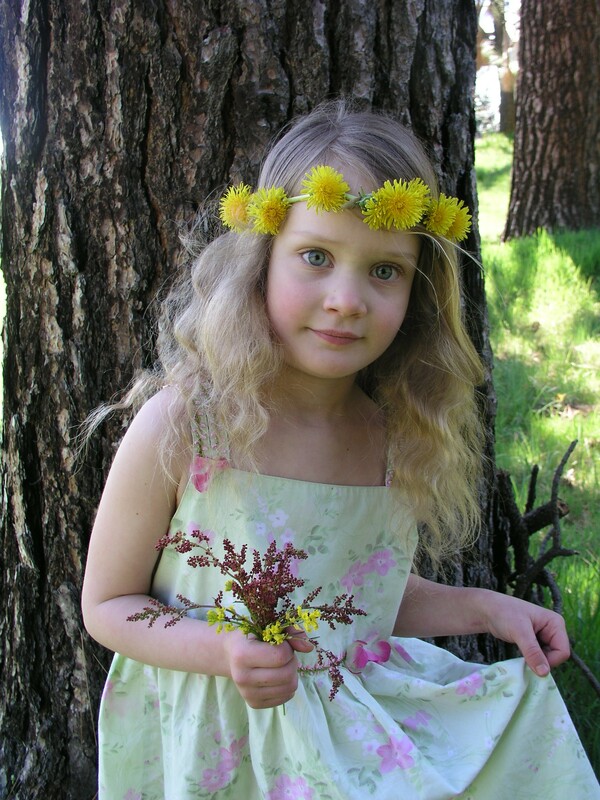 Dandelion Flower Cookies, Fairy Crowns, Crafts, Coloring Pages and Good Health! 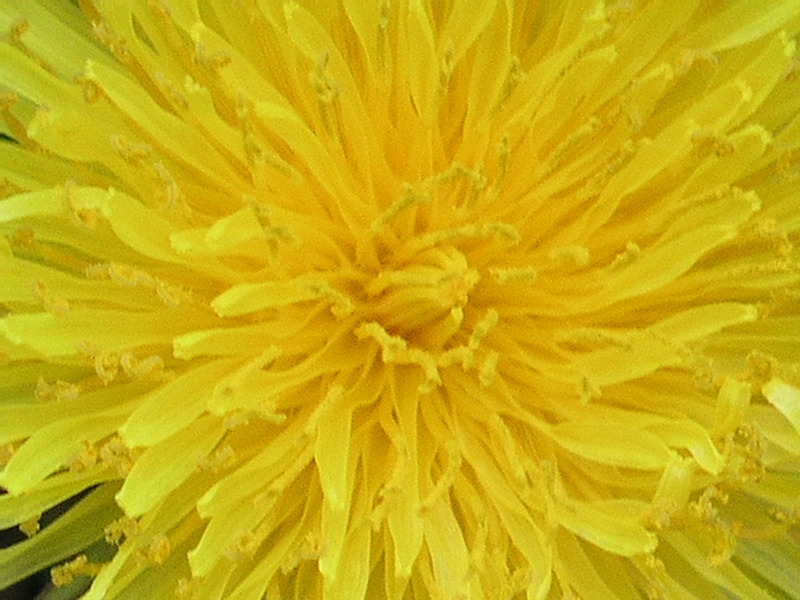 Ooh, I want to be a tiny creature rolling around in the sunny yellow softness of Taraxacum Officinale! Did the people of Atlantis really use the dandelion for food and to make exotic elixirs? I don’t know for sure, but what a cool part of the legendary story! Springtime bursts with these little beauties in fields and lawns, and every year they bring to my mind the memory of childhood. I can close my eyes and still feel the grass between my toes as I took flight, with energy and madness, toward the swing set, the cool heads of dandelion clusters cushioning my toes…. 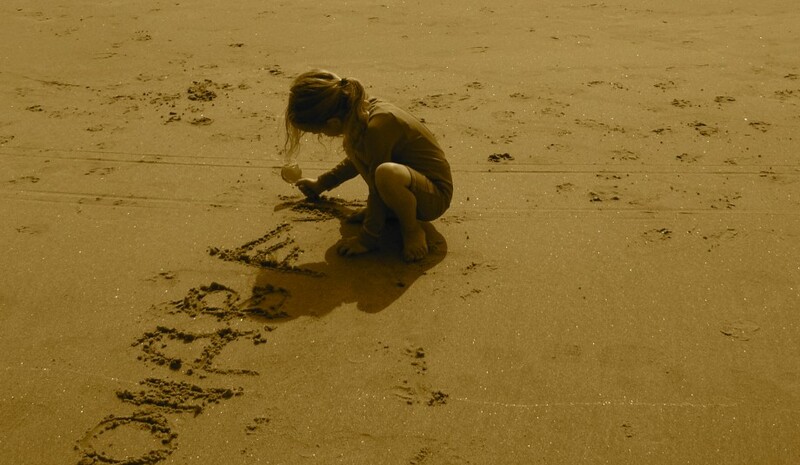 my sisters and I rubbing each others’ noses with the silky yellow dust…. They are cherished in many countries for their health benefits and tastiness. Here in the US, dandelions sometimes get a bad rap as a “weed” or a “nuisance”, but as long as they haven’t been sprayed by weed-killers, they are delightful and nutritious! The word “dandelion” comes from the French Dent de Lion, which means “lion’s teeth”. All parts of the plant have been used for various things, such as the roots, which can be dried and ground for a coffee-type beverage. Dandelion greens were steeped by pioneers for a healthy spring tonic to replenish vitamins after the long winter. The blossoms are good for your heart, and dandelions have substantial amounts of calcium, potassium, Vitamin C and Vitamin A. The best edible dandelions should be picked where the grasses grow tall and free as “yard dandelions” that have been cut are more bitter. Be sure to gather the leaves before the flowers bloom for the best flavor. The oil of the Dandelion is very good for massage. As we are always looking for creative ways to paint, we are going to try painting with dandelion flowers as paintbrushes too. Cool! 1. 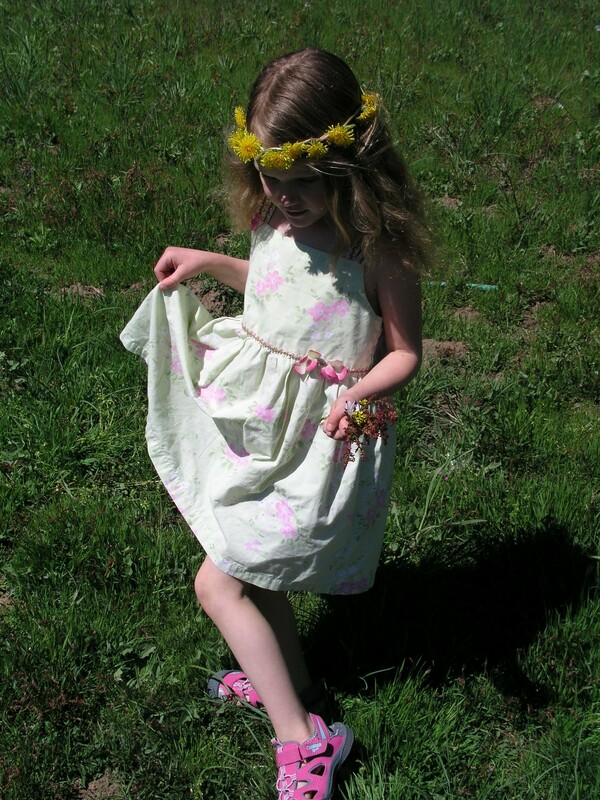 Find and pick some dandelions and make fairy crowns! Simple make a small slit in the stem and poke another stem through it. Continue on until a chain is made. Or, take 3 flowers and braid the stems. When one stem gets too short, add another one, and so on. 3. Gather enough flower heads to strip the yellow parts into 2 cups. 4. When it is time to go inside, make Dandelion Flower Cookies! (Recipe to follow). Be sure to remove the yellow flower parts from the green parts (compost the green parts). Preheat oven to 375 degrees. Mix oil & honey, then beat in the 2 eggs and vanilla. Stir in the flour, oatmeal and dandelion flowers. Drop batter by tablespoons onto oiled cookie sheets. Bake 10-15 minutes. Cool and enjoy! Thank you Kimberly Gallagher for this wonderful cookie recipe found at LearningHerbs.com. I highly recommend this site for lots of great herbal ideas, remedies and free stuff. Also, have you ever wished that waaaay back when you were, say 5, that someone had taught you about plants, herbs and natural remedies? Check out LearningHerb’s kids book series: Herb Fairies A Magical Tale of Plants & Their Remedies! I can’t wait to get them for Captain. For a fabulous online source of natural dandelion supplies and information, bulk herbs, and sooo much more, please visit one of my favorite stores on Earth: Mountain Rose Herbs! Click here for a free printable dandelion coloring page. Find a cute dandelion flower craft, using card stock, shaving cream, cotton swabs and green paper, here at House of Baby Piranha! From Tree To Table: How Maple Syrup Is Made! 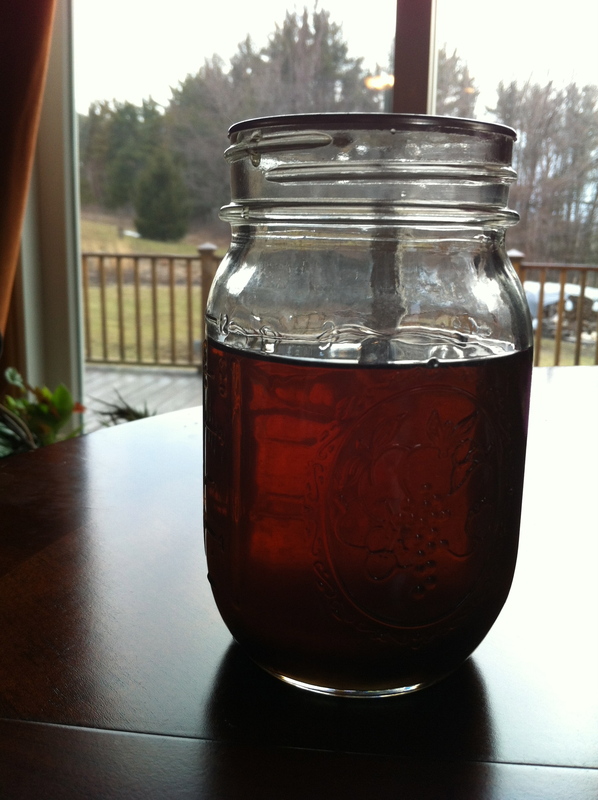 Scrumptious gift from the beautiful maple tree: home-canned maple syrup! I would like to share with you the wonderful information we just learned, as a family, about how maple syrup is made at home. Kids love to learn new things about trees, and as is the case of my kiddo, food too! If you live in the northeastern part of the US, or in the Canadian regions where maple trees flow with wonderful sap, you are very lucky to have this gift so close to home. We are fortunate to be visiting upstate New york and just saw friends who shared with us the process of tapping trees and cooking down the sap into syrup. After the how-to portion of this post, I will share some terrific news on the health benefits of real maple syrup, a maple syrup & walnut popcorn recipe, and a link to free, fun printables about maple syrup for kids. The trees! Due to their sugar content, the following trees are most commonly tapped for sap collection: Sugar Maple, Black Maple, Red Maple, and Silver Maple. Sugar Maples have the highest sugar content and therefore are ideal for tapping. Basically, a hole is drilled in the tree and a tap or spout, called a spile, is used to transfer the sap from the tree into a bucket. A bucket, or plastic jug, is hung from the tree to collect the sap. The sap runs out clear, like water, and is collected and cooked down outside for hours to get the water out and thicken and darken it. The sap is then taken indoors to finish up and is then canned in a hot water bath into sterile jars. That’s it! 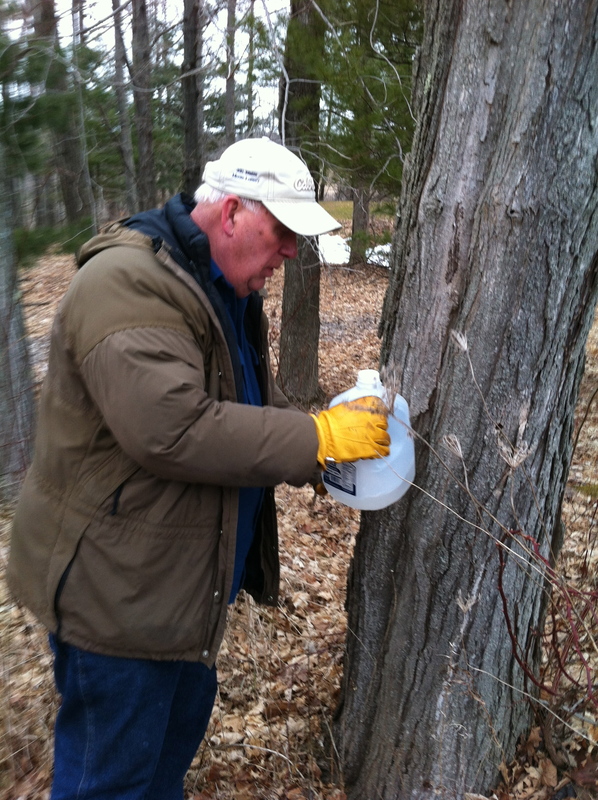 Maple sap generally begins to flow between mid-February and mid-March. Sap flows when the daytime temperatures rise above freezing and nighttime temperatures fall below freezing. Generally the sap flows for 4-6 weeks, with the best sap coming early in the season. Trees must be at least 12 inches in diameter, and larger trees can have up to 3 taps per tree. The height of the tap hole doesn’t matter, it is a matter of convenience. A hole is drilled about 2 inches deep, at a slight upward angle. The spile is inserted and tapped into the tree with a hammer. The bucket, or jug, is hung by hook or spile. The tree is tapped! Depending on the season, you can expect 5-15 gallons of sap per tap. The sap can be stored for up to a week or so before cooking, so syrup doesn’t have to be processed daily. The collected sap is strained to remove debris and is ready for cooking. 10 gallons of sap can be boiled into 1 quart of syrup (ratio of 40:1). The sap is boiled outdoors because it produces too much steam to do inside. In small batches, the sap boils until it takes on a golden color, and then is transferred to a smaller pot and taken indoors to finish. Continue to boil the sap until it takes on a consistency of syrup and then a candy thermometer is used to bring it to 7 degrees Fahrenheit above the boiling point of water. The syrup is then filtered and canned in a boiling water bath for storage, or placed in the refrigerator to be used within 3 months. I just can’t get enough of this! I love maple trees, the sap and the syrup! I am ever hopeful to return next winter and help tap and cook maple syrup. It is truly good family fun, and a delightful addition to the pantry. Maple syrup contains polyphenols, antioxidants that help with inflammation, according to research from The University of Rhode Island. During the study, one polyphenol, quebecol (named for Quebec, one of the top syrup-making regions) was discovered, and it is unique to maple syrup. University of Rhode Island researcher, Navindra Seeram, discovered 54 new beneficial compounds in pure maple syrup (2011), and confirmed that 20 compounds discovered in preliminary research play a key role in human health. Several of these compounds possess anti-oxidant and anti-inflammatory properties which have been shown to fight cancer, diabetes and bacterial illnesses. The darker grades of maple syrup have the highest level of antioxidants. Maple syrup is sugar, and therefore shouldn’t be consumed in huge amounts to try to get the antioxidant benefits! It is simply a much healthier choice for sweetening foods instead of other sugars or anything with corn syrup. I am happy to say that Captain loves real maple syrup! We put it on her porridge, pancakes and yogurt, and cook and bake with it as well. This is Stan, who resides in Columbia County in New York. He graciously took us on a tour of his land and shared his knowledge of maple sap-to-syrup. Afterward, he and his lovely wife, Linda, served us sweet little old-fashioned dishes of vanilla ice cream, drizzled with their very own maple syrup. It was scrumptious, and honestly, the best maple syrup I have ever tasted! Thanks for reading. Cheers to Stan and Linda, and maple syrup dreams to all! Recipe ~Maple Syrup & Walnut Popcorn: Oil a large bowl and a wooden spoon. Pop 8 cups, or so, of popcorn. Heat 1 cup maple syrup to 236 degrees, using a candy thermometer. Stir together popcorn, 3/4 cup walnut pieces, and syrup. Break into pieces when cool. Enjoy! Click here for the link to read more about The University of Rhode Island’s study of maple syrup. You can find the comprehensive booklet Tap My Trees Maple Sugaring at Home by Joe McHale on Amazon by clicking here. This sounds so simple. Just go outside and lay down on the ground, ‘eh? Yep. That’s all there is to it, but the effects are astounding. 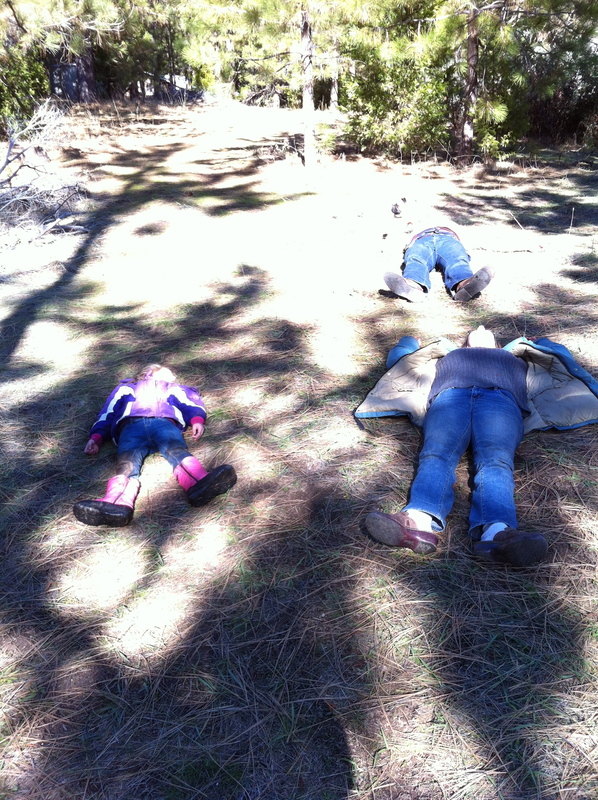 We live in a forest where it is quite inviting to lay down on the soft grasses and pine needles and stare up into the sky while resting, but even if I lived in a city, I would find a place to do this and my kid most certainly would be right behind me. KIDS NEED TO BE CONNECTED TO THE EARTH! We all do. Reductions in overall stress levels and tension and a shift in nervous system balance, reductions in immune cell and pain responses, delayed-onset muscle soreness, reduces viscosity of the blood, reduction of indicators of osteoporosis, improvement of glucose regulation and immune response, inflammation, sleep, balance, and, again, reduction of stress. Research at the Max Planck institute in the 60’s and 70’s showed that it was important for human performance and health to receive electrical signals from the earth. The modern practice of earthing began in the late 1900’s when Clinton Ober, a retired cable TV executive, started thinking that it was notable that humans in the last century had been using synthetic shoe soles which isolate the body electrically from the earth, and he knew that ungrounded electronic instruments perform badly. When he approached scientists and physicians with his thoughts, they generally refused to have anything to do with this, so he had to do the experimental testing on himself. Dr. Maurice Chaly, a retired anesthesiologist, did a pilot study involving measuring the cortisol levels (a stress indicator) in his subjects and found that grounding normalized the levels. Others continued to test with the same results. The use of isolating shoe soles (rubber and plastic) started around the middle of the 20th century. Leather soles, used for 1000’s of years, give partial earthing when moistened by sweat. Could shoes be a part of the dramatic rise in chronic inflammation and so many other physical problems of modern life? Modern activities like swimming and walking barefoot through the grass will give thorough earthing and make us feel good. Some people, especially who don’t have access to convenient, well, earth, use such conducting and grounding products as: cotton earthing sheets that connect to an outlet, or pads that are made of cotton with conductive silver fibers that are placed at the foot of the bed. These products can be found on amazon.com or you can google “earthing products”. Personally, I wouldn’t buy something that provides what walking and laying on the ground can do, but whatever path we each choose is our own. If I had to pick one thing that I think is vital to kid’s (and big people’s too) health and happiness, it would be keeping in contact with the earth. It’s something almost anyone can do, it’s free, it’s fun and the results make life better. It really is as easy as that!! I invite you to share your earthing experience here. If you live in a big city and have a spot to lay down outside, would you PLEASE send me a picture? For some reason I like to think of someone laying in the grass in a place like Central Park in NYC…. Foodarella: 100 Recipes in 100 Days! 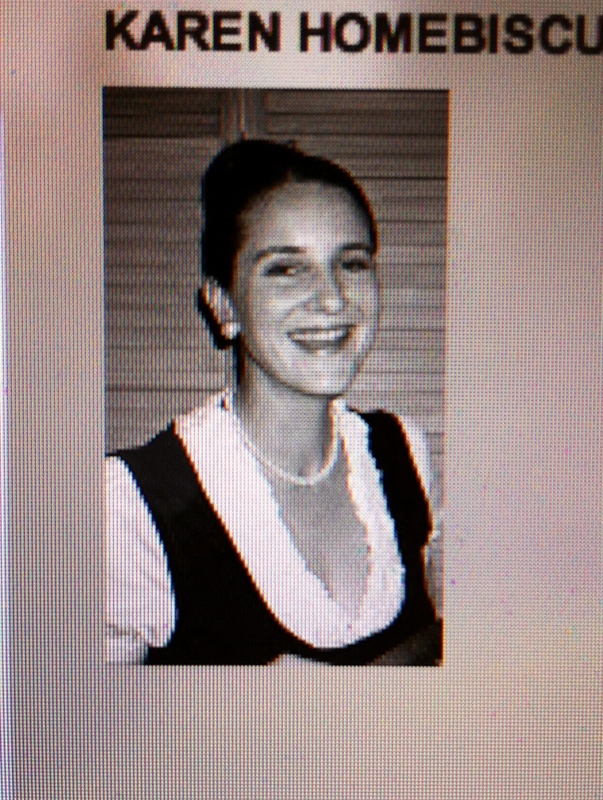 This is me, Karen. I’m making a cookbook and I would like your recipe. I have decided that I would like to make a Cookbook called “Foodarella”, named for the word we use at the Cabin for all things food-related that we love. I would like to fill it with 100 random recipes from complete strangers, or whoever would be willing to write in, of good things to eat! It’s fun to think of compiling something like this on the internet, and I am hopeful that some of my fellow Word Press family of bloggers would like to participate. I am fully aware that I don’t have a large readership and that many people probably won’t care. I’m okay with that! But, I just can’t get it out of my mind how fun it would be to collect recipes, bits of food-wisdom and the like, simply from taking a chance that others would read this out in the big, juicy, food-filled world! We love healthy stuff, sweet and kind stuff, crunchy and pliable stuff. If ingredients come from our own gardens, are canned over red-checked tablecloths in our kitchens, or are just fabulously simple or delicious, then all the better! I’ll give this 100 recipe challenge 100 days to complete, as that just sounds good ‘eh? Whether I end up with 2 or 100 to add, I’ll be happy. Like I said, it has been just enjoyable to think about (especially while I am snuggled up in bed with a head cold!) and I thank ya for reading. 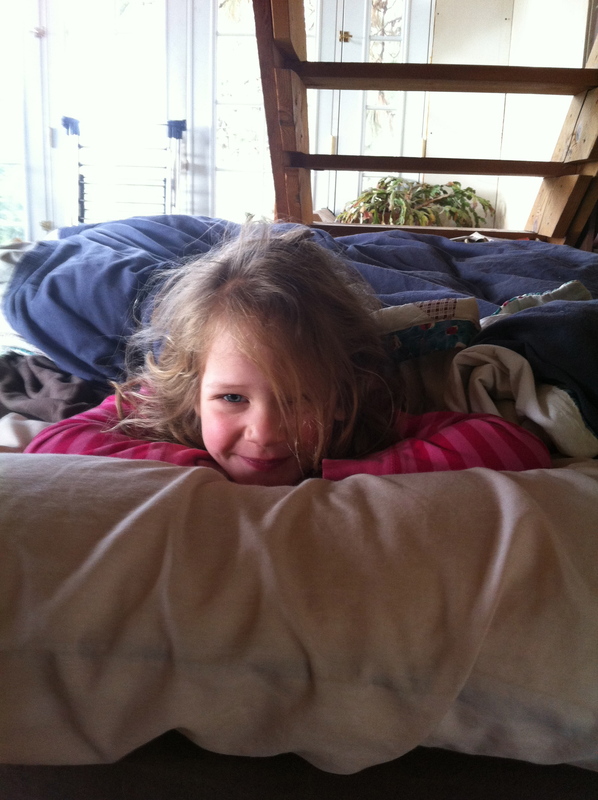 Taming a Kid’s Winter Fever With Mom’s Organic Frozen Pops! Under the weather, under the covers, but still cute as pie! I used to get really nervous when Captain had a fever and wouldn’t eat much for a few days. Experience has taught me that she will be just fine as long as she consumes a lot of fluids and gets good rest. 1 organic banana, 2 cups frozen organic berries (peaches and raspberries are favorites), 1 cup organic spinach or other organic green (washed really well), 1/2 cup organic juice (apple, blueberry, pomegranate, orange) a sprinkling of organic flaxmeal (optional) and honey to taste. Blend it up and put in frozen-pop-molds and voila! If Captain isn’t sick, I also add yogurt to this recipe. **A hint: don’t tell them what is in it if they don’t like greens! They won’t realize they are there! If you have a good recipe or idea for our kids during the flu season, will you please share with us? Good ideas are good ideas…. 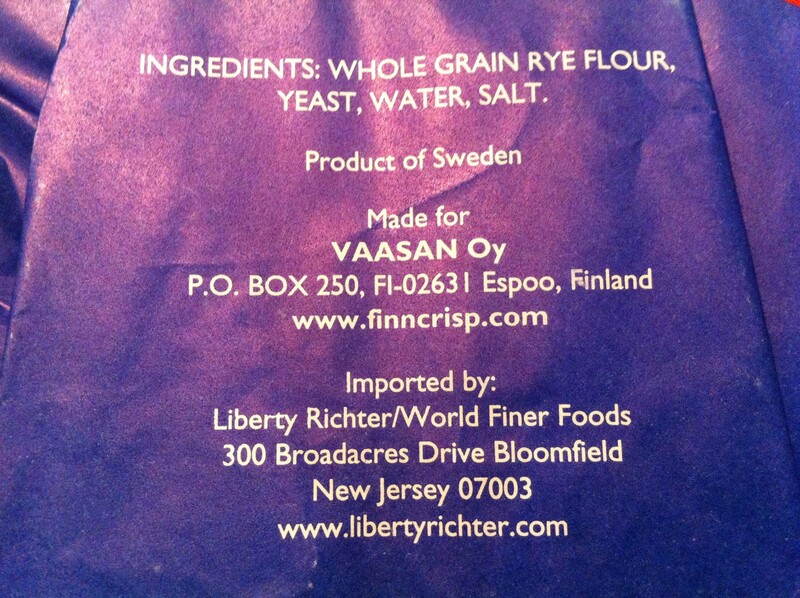 Siljans Rye: Healthy, Tasty, And It Just Plain ROCKS! Thanks to Aunt Cate for turning our family on to what has become a necessary staple of our diets. You won’t come to the cabin and not see a package of Siljans resting on top of the old fashioned Sweetheart stove, ready for munchin’. These delightful cracker rounds are made of whole grain rye flour, yeast, water and salt and are healthy, delicious and very versatile. Captain eats them daily and likes them plain, or with a variety of toppings, and we rarely leave the house without having some stashed in the car for hunger-emergencies. When one thinks of knackebrod, rye or hardtack, it kind of rings a bell of being a “poor man’s food”, or we could remember tales of civil war soldiers who subsisted on such simple foods during hard times. However, these tasty cracker rounds have a lot of good benefits for people today, especially those who like to see only a few ingredients listed on their labels, and also like things to be affordable and tasty as well. 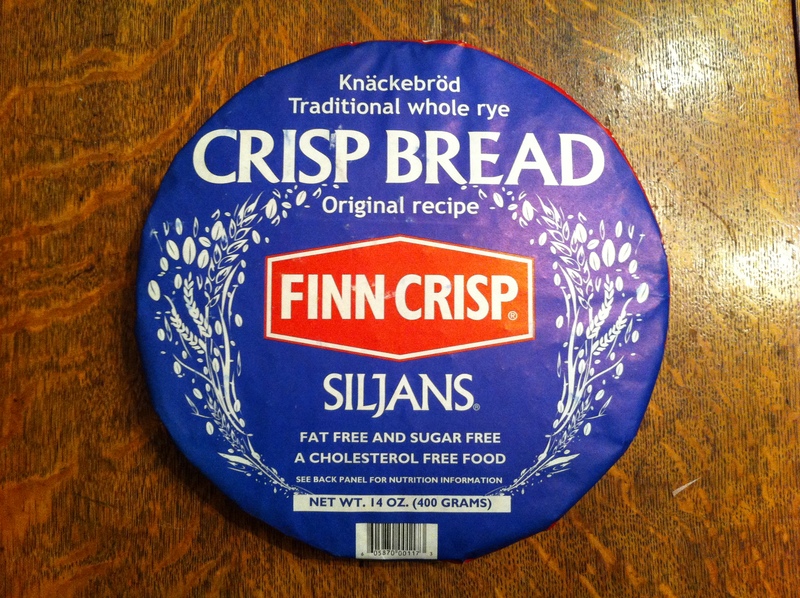 We are lucky that a little supermarket in the town we shop in here in California sells Siljans, our favorite brand of these kind of good eats, and so we are able to purchase them for around $5 per 14 oz package. Amazon is a good source for those that want them regularly at about the same price. You can even get a subscription to have them delivered regularly if you can’t find them in your local area… wow! Siljans do not go stale unless you leave them around for a really looooong time, or in a damp place. We tested this by tasting some that we had forgotten about on top of the fridge and, after about 6 months, they were still just great. With cheddar cheese, apples, peanut butter & honey (like a sandwich), feta cheese and olives, hummus, pesto and tomatoes, gouda, cream cheese, pickles….. there are so many ways!! Cracker Facts! Back in the day, Knackebrod was popular in armies and schools because of its light weight and simple, transport-friendly shape. Crisp bread has been baked in central Sweden since 500 AD and it was made as round wafers with a hole in the middle so the bread could be stored on sticks under the roof. Traditional crisp bread was invented about 500 years ago. Finland and Sweden have long traditions in crisp bread consumption and Sweden’s first industrial crisp bread bakery, AU Bergmans enka, began production in Stockholm in 1850. Today, bubbles are introduced into many doughs mechanically, although traditionally, this was done by mixing snow or powdered ice into the dough, which then evaporated during baking. How cool is that??? 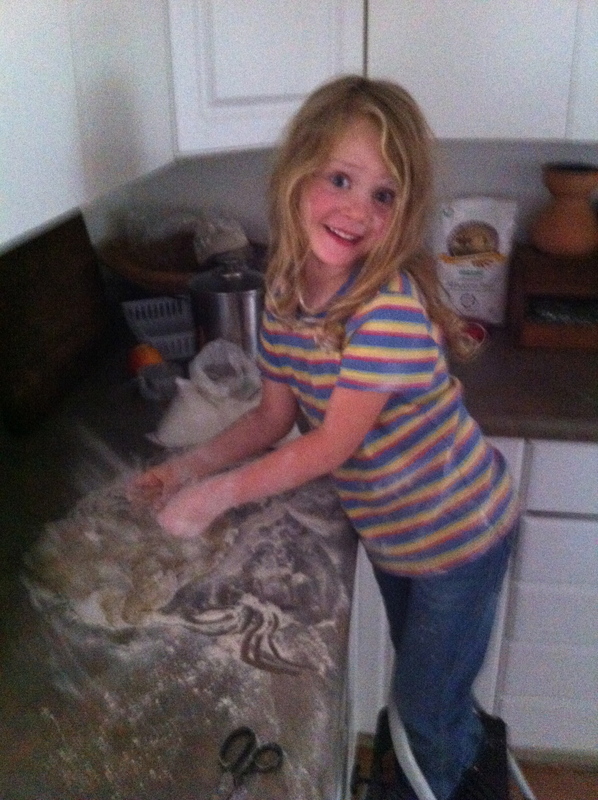 Another method is to knead the dough under pressure in an extruder. The sudden drop in pressure then causes water to evaporate, creating bubbles in the dough. The packaging can’t help but be adorable. I feel kind of cute myself when I have this in my shopping cart. Check out the ingredients list… do I need to say more? Captain and I attempted to make our own rye crisps and had a lot of fun trying. The crisps didn’t turn out as great as the Siljans, but they were still good and the dogs LOVED them as treats. We even put a broomstick between two chairs and hung them to dry out a bit after baking. 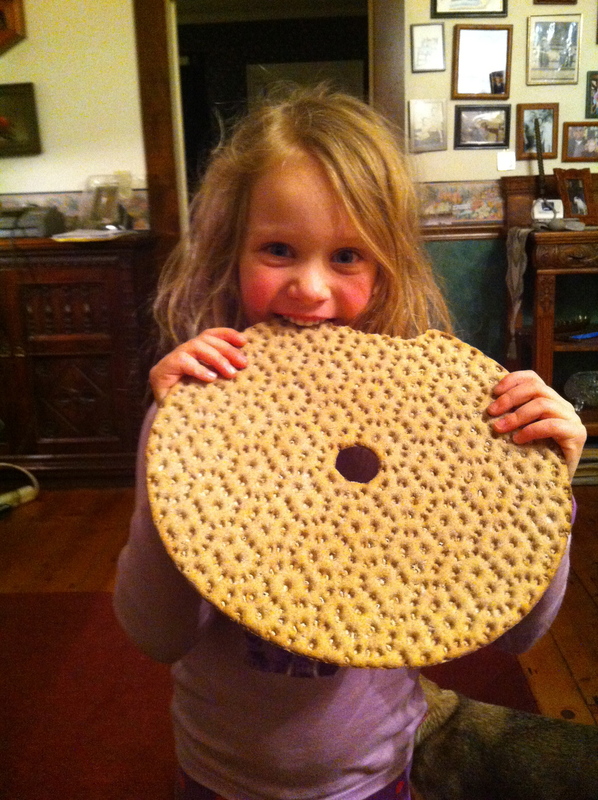 We hope to try again as even our version was yummy and healthy, but we are so addicted to the texture of Siljans that we may spend the time and work on something different when we bake crackers again. I really think these are terrific for kids, adults (and dogs too!) and highly recommend you try them if you don’t already enjoy them. Please do let me know any ideas for accompaniments with these rye treats if you care to share, and thanks to Wikipedia for the facts about crisp breads!